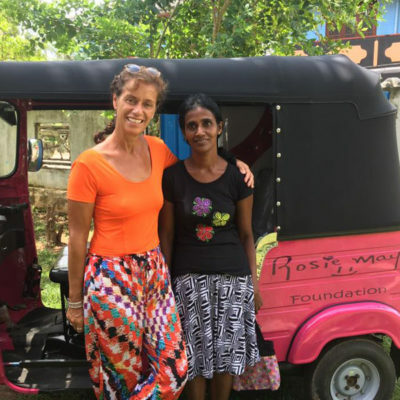 A charity that aims to give a “hand up not a hand out” has embarked on its latest initiative — to train single mums living below the poverty line in Sri Lanka to drive a tuk tuk. 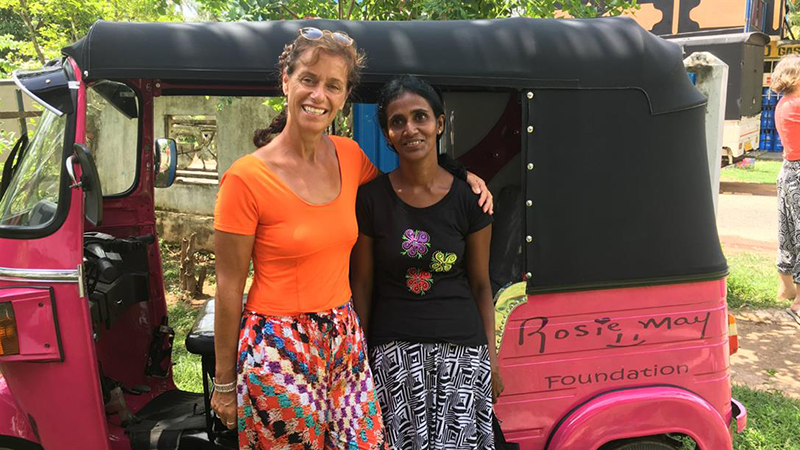 The Rosie May Foundation is behind the Think Pink Sri Lanka — Women Driving For Women scheme. The charity is helping single mothers who are at risk of abandoning their babies and children to give them support and the opportunity to help themselves. The tuk tuk scheme will provide lessons, insurance and personal safety training. Once they have passed their test they will be given the opportunity to rent a bright pink three-wheeled tuk tuk. The project already has three vehicles and they eventually hope to get a fleet of 20. They will be used to give safe journeys to women and girls and enable the drivers to earn a living. 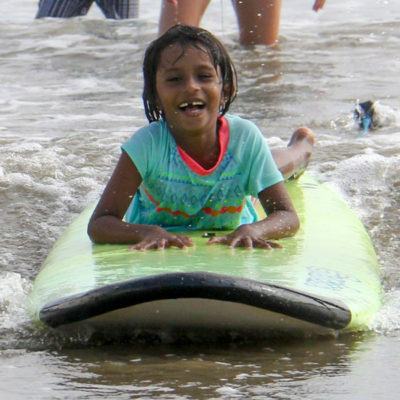 The Rosie May Foundation is an international charity helping children, mainly girls, in Sri Lanka and Nepal. It was set up by Graham and Mary Storrie after the murder of their ten-year-old daughter, Rosie May, in 2003. For many years it operated from the family’s kitchen table in Bottesford but last year moved to offices at 18 Market Place, Bingham. Mary said it was a much-needed move. “We needed to develop and grow the charity and make it more accessible in the community,” she said. The foundation’s flagship project is the Rosie May Home, which was opened in Sri Lanka in 2008. It operates in partnership with the People In Need Foundation, giving a home to girls aged four to 18. 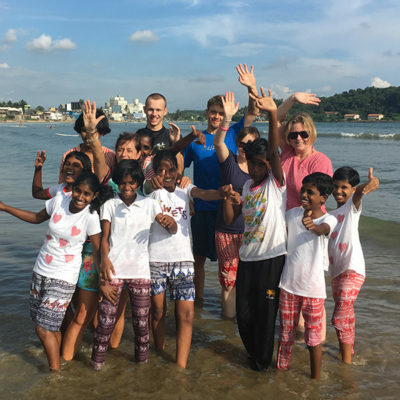 Initially it was to help children orphaned because of the 2004 tsunami but now many of the girls there have a parent who cannot care for them so they try to reunite them. Project Hope is very much about a hand up not a hand out,” Mary said. Three years ago the foundation became involved in projects in Nepal, working with other organisations, as a result of an earthquake that caused widespread devastation. Mary and Graham were invited last year to the reopening of an earthquake-resilient primary school they were involved with. They are continuing to work on a scheme to increase pupil numbers by providing free school meals for the next three years. “It is very much about creating independence and not dependence,” Mary said. Fundraising is crucial and last year they reached £1m. They are now aiming for the next £1m. A Strictly Come Dancing-type event finishing with a Glitter Ball at Kelham Hall on March 4 in support of the tuk tuk project is one of the next major events. There will be a Rosie May Midsummer Ball on June 30 in a marquee on the Belvoir Castle Estate, home of the Duchess of Rutland, who is a charity patron. The ball will cater for 400 guests and businesses are being urged to get involved. Mary graduated with a masters degree in global citizenship and identities in 2013 from Nottingham University. In December she received an Alumini Laureate special excellence award for services and commitment to international humanitarian work from the university, recognising her work “turning personal tragedy into hope” with the foundation. “It was a huge honour to accept it,” she said. Rosie May is still very much at the heart of everything they do. “She was always the first one to help other children that were younger than herself or less fortunate,” Mary said.